The Lowcountry Strawberry Festival takes place at Boone Hall April 25th thru April 28th. U-pick strawberries will be available for event attendees who have paid admission to the festival on the following days and times. 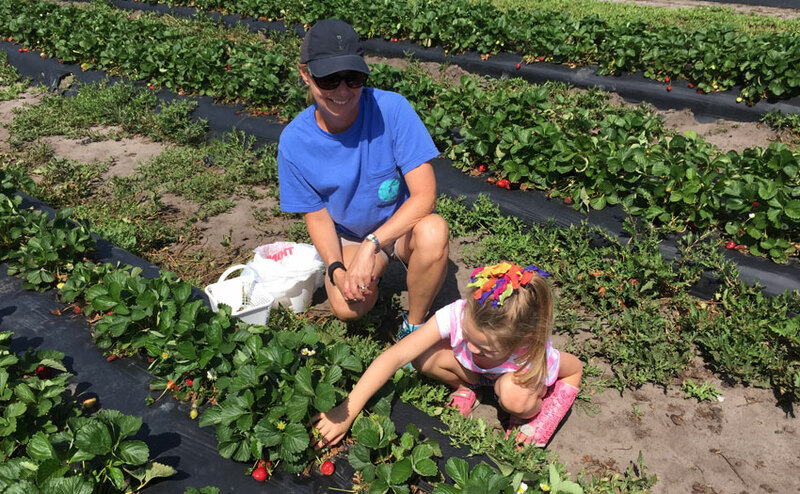 TO CLARIFY: If you want to pick strawberries, but do not want to pay admission to attend the festival, please plan on coming to pick during one of the weekends following the festival. Due to the demand for u-pick strawberries by a large portion of event attendees, we are limiting u-pick to those attending the festival. EVENT ATTENDEES ALSO PLEASE BE AWARE AND UNDERSTAND IF ALL THE RIPE BERRIES ARE PICKED CLEAN PRIOR TO 5PM ON THE DAYS WE ARE OPEN DURING THE FESTIVAL, WE WILL HAVE TO CLOSE U-PICK OPERATIONS EARLY. SUGGEST COMING OUT EARLY TO THE LOWCOUNTRY STRAWBERRY FESTIVAL IF YOU PLAN TO COME PICK. To get the latest status updates for our produce and u-pick operations, please call the Boone Hall Farms Produce Information Line at 843-856-5366. The strawberry fields this year are located along the Hwy. 17 side of Boone Hall Farms. U-Pick strawberries are $1.99 lb.